Rock and Roll, cola wars, I can’t take it anymore. 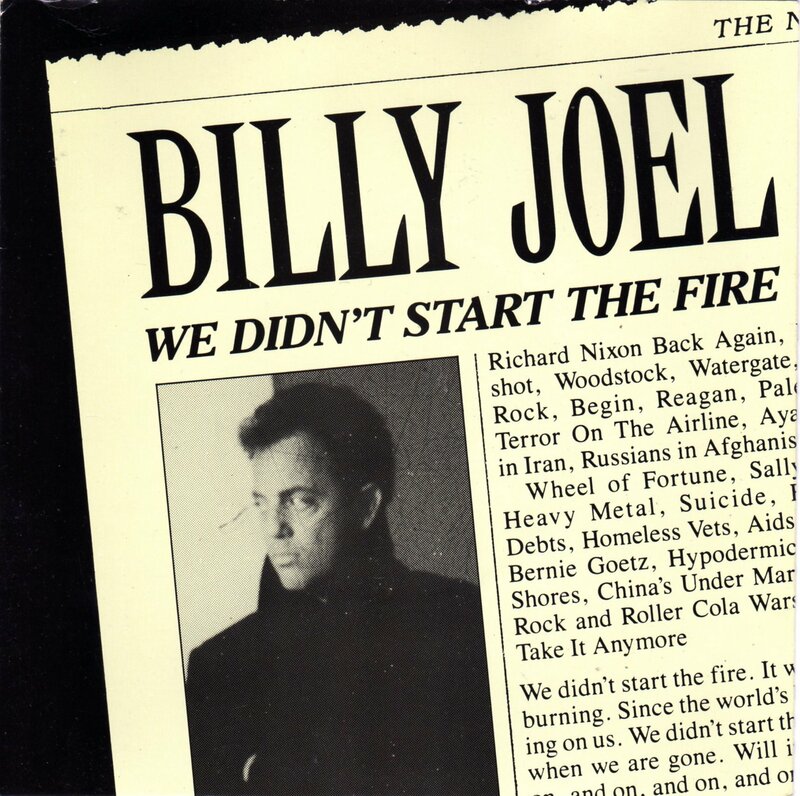 The verses from the song ‘We Didn’t Start the Fire’ which lists notable and notorious people, places and events from the years 1949 – 1989. It was taken from the album ‘Storm Front (1989) by Billy Joel.